There’s a new hypothesis about what happened on August 15, 1977, and, sadly, it doesn’t involve aliens — just a photobombing comet. I was surprised about the controversy surrounding Antonio Paris’ research into the possibility of comets generating radio signals at 1420MHz and mimicking the famous “Wow!” signal nearly 40 years ago, so I decided to record Astroengine’s second YouTube video on the topic. Enjoy! And remember to subscribe and like, there’s a lot more to come! When Black Holes Collide… Astroengine Is Now On YouTube! Astroengine has finally been launched on YouTube, kicking off with a summary of the recent gravitational wave discovery by LIGO. I’m aiming to produce at least one video a week and I’d really like to make it as viewer-driven as possible. So if you have any burning space science questions or any critique about the videos I’m posting, please reach out! But for now, you know what to do: like, subscribe and enjoy! Author Ian O'NeillPosted on June 12, 2017 Categories Astroengine Live!, Astroengine news, Black Holes, PhysicsTags astrophysics, Gravitational Waves, LIGO, Video, youtube1 Comment on When Black Holes Collide… Astroengine Is Now On YouTube! You may have noticed I’ve been a little quiet on the airwaves these last couple of weeks. This doesn’t mean all the space news of the world has slowed, or I’ve been any less active article writing, it’s just that life seems to happen during my regular Wednesday slot and I have to keep cancelling! But not today, I’ll be on the air at 4pm PST/7pm EST for an extra special show, just before Captain Jack hits the mic in his brand new and shiny Badlands Radio (formally known as Paranormal Radio). This picture was posted by Phil Plait and I was mesmerized. 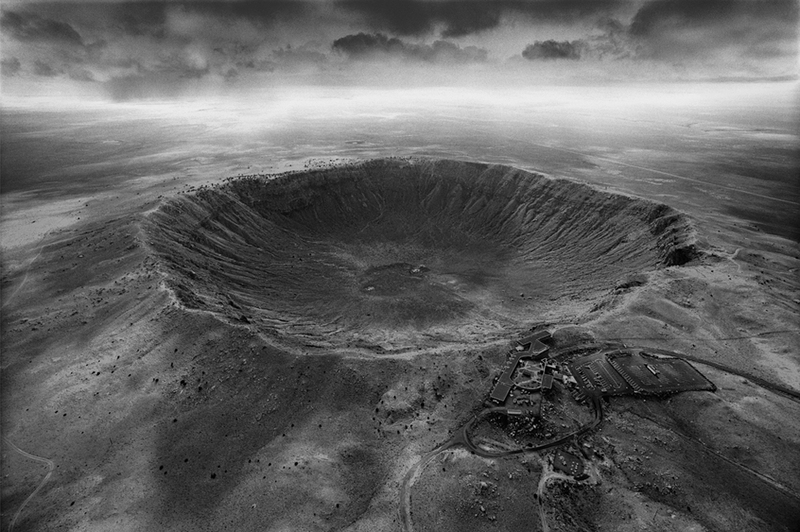 Stan Gaz, the photographer of Meteor Crater in Arizona, will be laying on an exhibition in New York from April 30th to June 6th. If this is anything to go by, it’s an event you can’t afford to miss out on… if you’re in or near New York that is. As I am quite literally on the other side of the country, I’ll miss it, but here’s more info if you are more fortunate. In today’s show, I’ll be giving brown dwarfs some airtime. They may be considered to be “failed stars”, but are they? Also, I’ll be giving a rundown of the week’s space news with some surprises thrown in. Be sure to tune in at 4pm PST/7pm EST! Have any articles or stories you want to contribute? Have an opinion on anything in the world of space? Follow me on Twitter to send me live input when I’m on the air, or email me on astro@wprtradio.com and I’ll be sure to give it a mention. Eventually, I hope to have telephone call-ins, but for now, email will do. Astroengine Live Show #15: The Carnival Of Space… Live! Show 15 of Astroengine Live is going to be a first. A first for me and a first for the Carnival of Space. I’m going to do it live. I was actually contemplating doing it 99% live, just having the entries for the 96th Carnival embedded in some show notes, but no, that wouldn’t be fair, I’d have to do two versions, one online and another on the air. I suppose the best thing about preparing the jumbo 96th Carnival before Astroengine Live is that at least I’ve read all the entries, in depth and thoroughly… erm… yeah, I did that, right? Well, I did, but having glanced through the entries, I’ve forgotten the details of many of them. So I’m going to run into Wednesday’s show and hope for the best, discussing the Carnival and whatever else comes to mind. One thing is for sure, it’s going to be a rich and varied experience! I think there were 30 entries in the end, with only a few duplicates. That is either a blessing or a curse, but then again, I’ll only find out when I’m in front of the microphone. So! See you at 4pm (PST), 5pm (MST), 6pm (CST), 7pm (EST)… or midnight GMT! Author Ian O'NeillPosted on April 1, 2009 Categories Astroengine Live!, Carnival of Space!Tags CoSLeave a comment on Astroengine Live Show #15: The Carnival Of Space… Live!